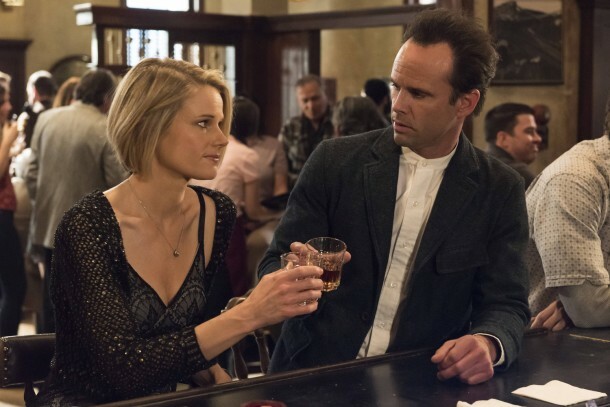 With only a small amount of episodes remaining, Justified makes every second count. Tonight’s episode is a thrill ride. “Get ready for the boom.” As some questions are answered new ones are posed in typical Justified fashion. There is just no replacing this show. “Burned” – Raylan and Boyd each test Ava’s loyalty, and Markham’s plans to win over Harlan go awry. Written by Dave Andron, Leonard Chang, and Jenny DeArmitt; directed by Don Kurt. So far this season, they have killed off two of my favorite new characters. R.I.P. Choo-Choo (Duke Davis Roberts) and Ty Walker (Garret Dillahunt)! 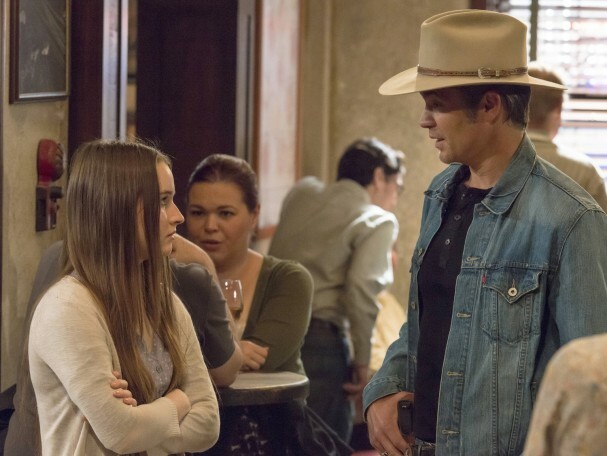 When Raylan (Timothy Olyphant) shot Ty and Ty said that it wasn’t all about the money, there is definitely something deeper to be uncovered there. Garret did a brilliant job, and it was such a treat to have him on the final season. Luckily, FXX airs Raising Hope episodes on a daily basis, so you can always get your fill of Garret. It’s still upsetting that they cancelled that show. Things get interesting tonight when Art (Nick Searcy) and Raylan walk in on Wynn Duffy (Jere Burns) getting his tan on. As always, Art has the perfect response to this ball centric season. Duffy needs to do some PSAs about how tanning beds are bad for you. I think his message would really be heard. Katherine Hale (Mary Steenburgen) is intriguing, yet terrifying. I was frightened for Ava (Joelle Carter) when they had that “shopping” trip. You just never know what she’s going to do next. Her paired with Avery Markham (Sam Elliott) is almost too much to handle. Remember that speech Markham gave on loyalty? Who is playing whom? I still can’t get over the faces that Boyd (Walton Goggins) and Raylan made when Markham had that vault open. That is definitely a very big carrot to dangle in front of Boyd’s face. It’s not in Boyd’s nature to walk away from that. That reward money for Ty’s capture was a genius plan. Tonight we meet the masterfully odd Boon (Jonathan Tucker). He definitely needs to enjoy some cinema time. I loved Jonathan Tucker in Hannibal, so I’m looking forward to seeing where his character is going to take us. I think we are in for an exciting journey. Could this really be Boyd and Ava’s last night in Harlan? What will Ava do? She’s really in a lose-lose situation. At least Boyd can admit what kind of a man he is. Loretta McCready (Kaitlyn Dever) is never one to ask for help, but she knows who to go to when things become more than she can handle. She’s keen. Kaitlyn shines in this episode. You are not going to want to miss tonight’s episode. There are some great speeches. Raylan gets to put on his disappointed dad face all while enjoying some top shelf delights. Boyd will always be Boyd, so we have that to look forward to. How the hell are they going to end this series? Maybe Gutterson will just lose it and kill everyone. He’s been calm for too long. Someone bust out the Scrabble board to make sure nothing like that happens. Seriously, I can’t wait to see where they are going to leave us. Justified airs Tuesday nights at 10/9c on FX.